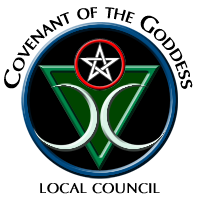 Touchstone will be joining with Dogwood Local Council & Everglades Moon Local Council in supporting Operation Circle Care, which sends care packages with Pagan books, magazines, CDs, and other spiritual resources to Wiccans and other Pagans on active duty in war zones. Gift cards from store that ship overseas (for example Barnes and Noble or Amazon). Gift cards can be used for online holiday shopping so deployed soldiers can send gifts home to their children from overseas. We look forward to seeing you at the ritual!